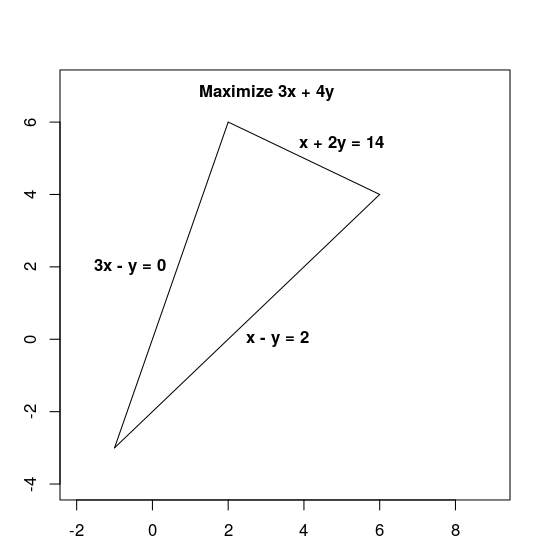 This section shows how to run a Python program that solves a very simple optimization problem: find the maximum value of the objective function x + y, subject to the constraints 0 ≤ x ≤ 1 and 0 ≤ y ≤ 2. # Create the variables x and y. # Create the objective function, x + y. # Call the solver and display the results. Copy and paste the code above into new file and save it as program.py. Open a command window and change to the directory where you saved program.py. where relative/path/to/ is the path to the directory where you saved the program. Next, we give an example of an optimization problem, and show how to set up and solve it in Python. Note: NumVar is the Python name for the C++ method MakeNumVar. # Constraint 1: x + 2y <= 14. # Constraint 2: 3x - y >= 0. # Constraint 3: x - y <= 2. 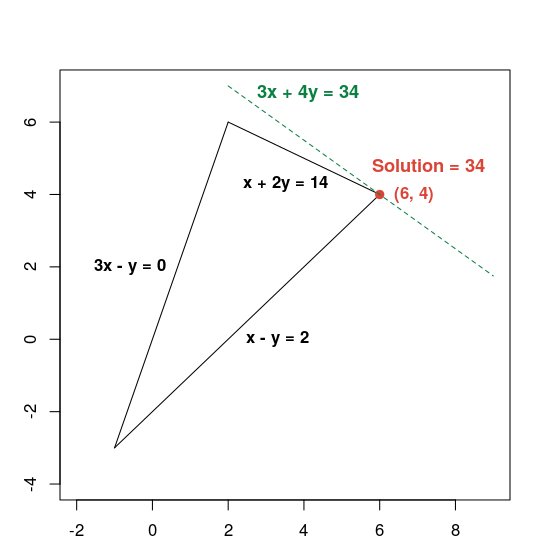 # Objective function: 3x + 4y. # Instantiate a Glop solver, naming it LinearExample. # The value of each variable in the solution. # The objective value of the solution. # Create the two variables and let them take on any value. You can run the program as shown in Running a Python program above.